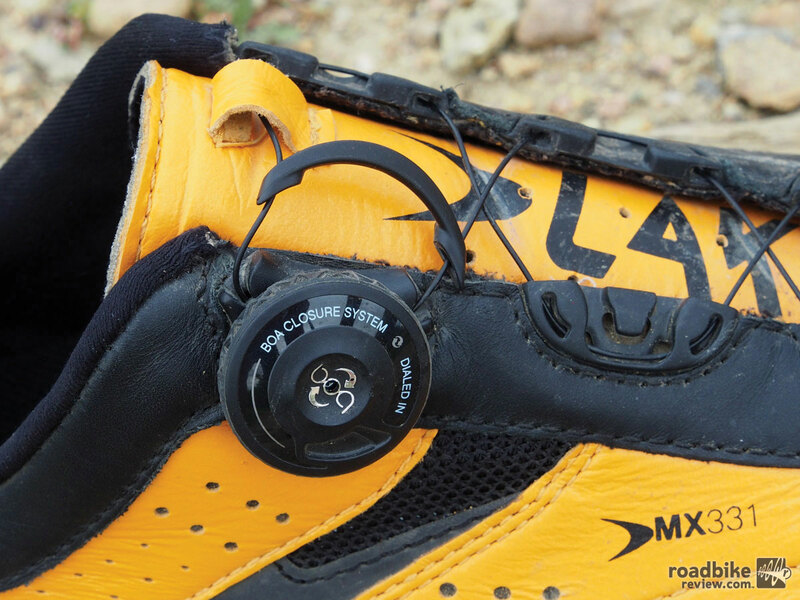 Power transfer with the Lake MX 331 shoe is efficient whether in or out of the saddle. 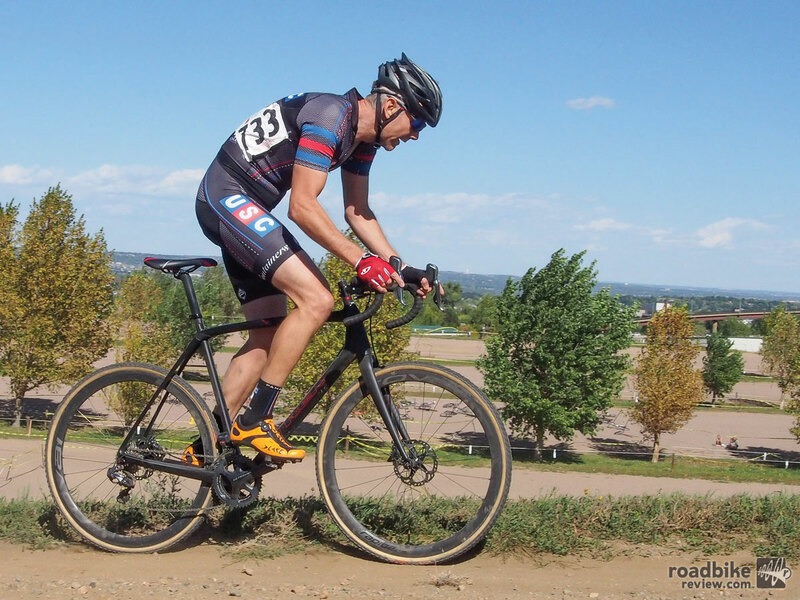 Editor’s Note: This article is part of our Cyclocross Race Bike Shootout series, which also includes reviews of top competition steeds from Trek, Jamis, Specialized, and Van Dessel, as well as tests of SRAM’s Force CX1 HydroR groupset, and several wheelsets and ’cross tires. 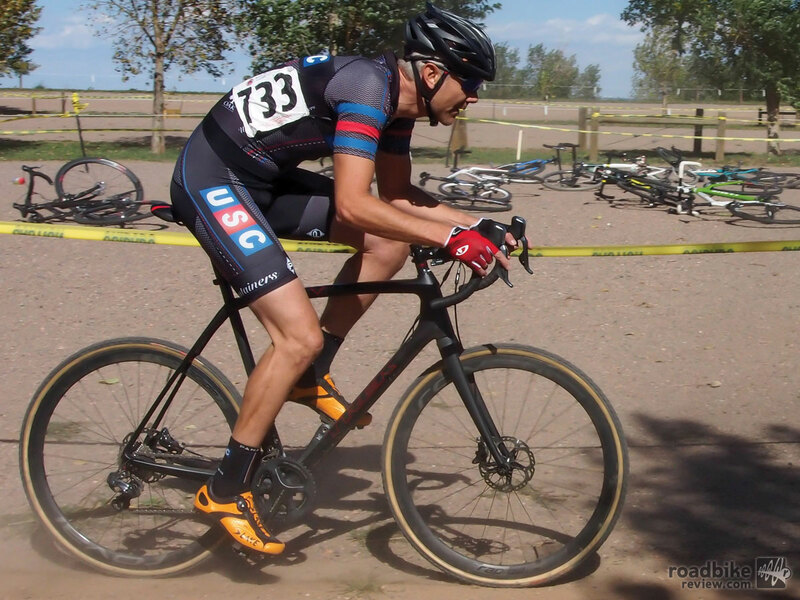 You’re a serious cyclocross racer looking for a lightweight shoe that will help you squeeze every last watt out of your pedal strokes, and you want to be able to swap in different toe and heel spikes based on course conditions. You’ll also need some extra disposable income. These custom moldable kicks run $400. 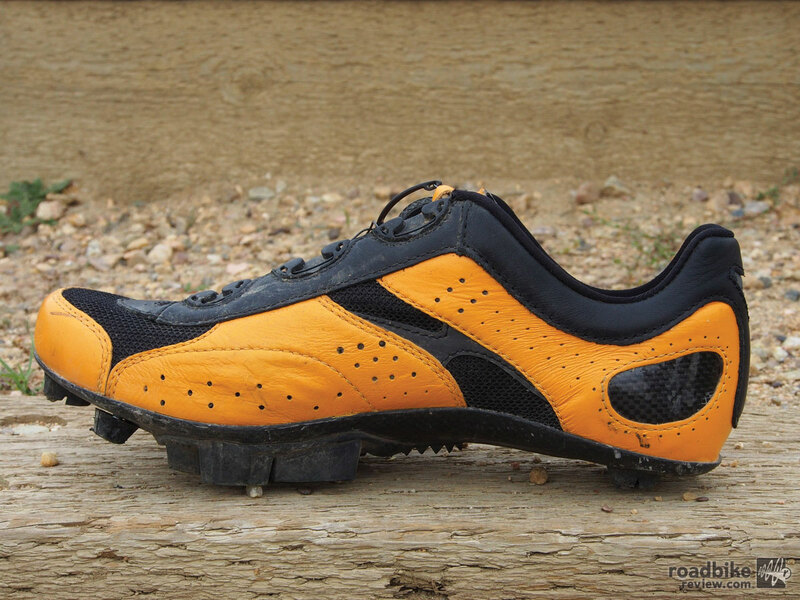 The genesis of Lake Cycling’s cyclocross-specific MX 331 Cross shoe started with feedback (and perhaps complaints) from some of the pro racers sponsored by the Dutch company. 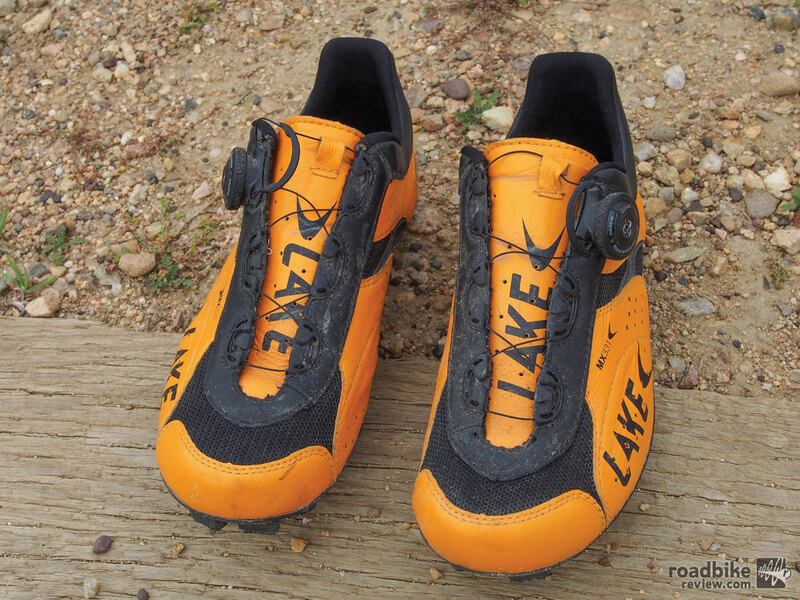 According to Lake, these top-level bog hoppers were happy with the fit and comfort of the company’s top-end cross-country mountain bike shoe, but pined for something lighter when racing ’cross. 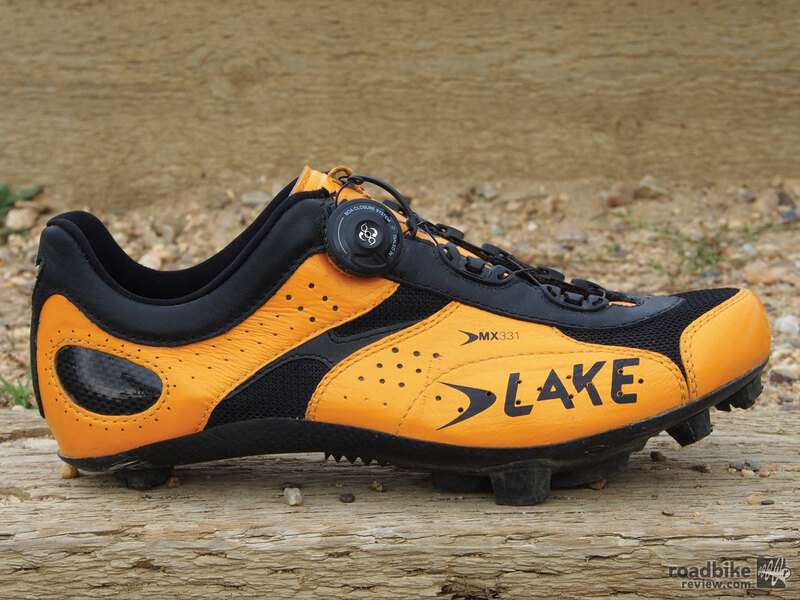 Lake listened and in 2013 unveiled the MX 331 Cross, a top-end shoe geared directly at the elite cyclocross racing crowd. Gone was a significant amount of sole rubber — and a fair bit of weight. 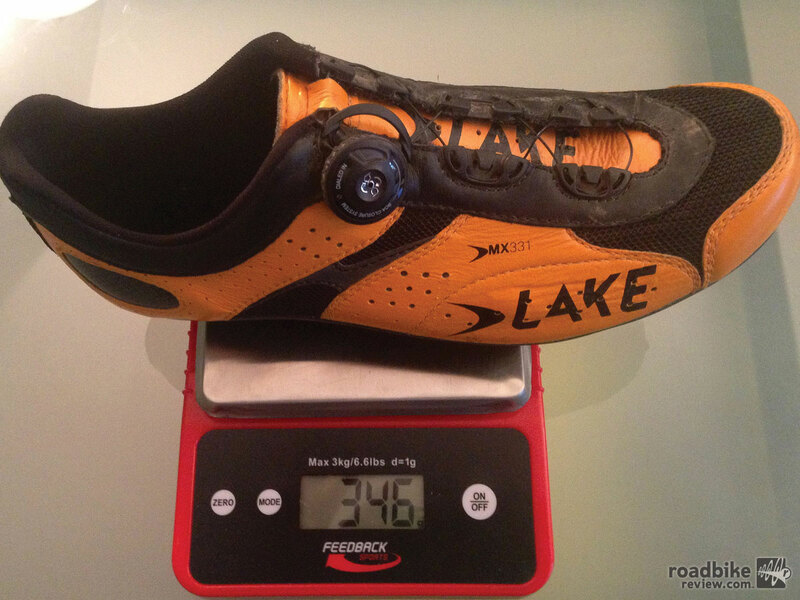 Our size 44 test pair without a cleat installed came in at 346 grams per shoe. For comparison sake, a mid-level-priced Shimano R260 road shoe we’ve been wearing weighs 300 grams sans cleat, while another current test (and occasional CX race) shoe, the high-end Louis Garneau T-Flex LS-100 MTB kick, registered a 424-gram reading on our scale. We’ve run a fairly traditional spike set-up this season, but it’s good to know you have options. 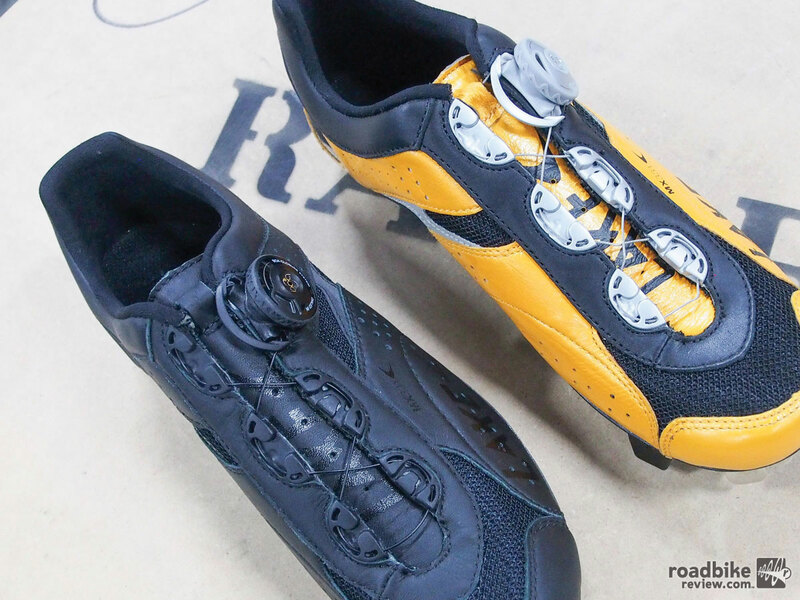 But weight savings alone doesn’t make a quality cycling shoe. 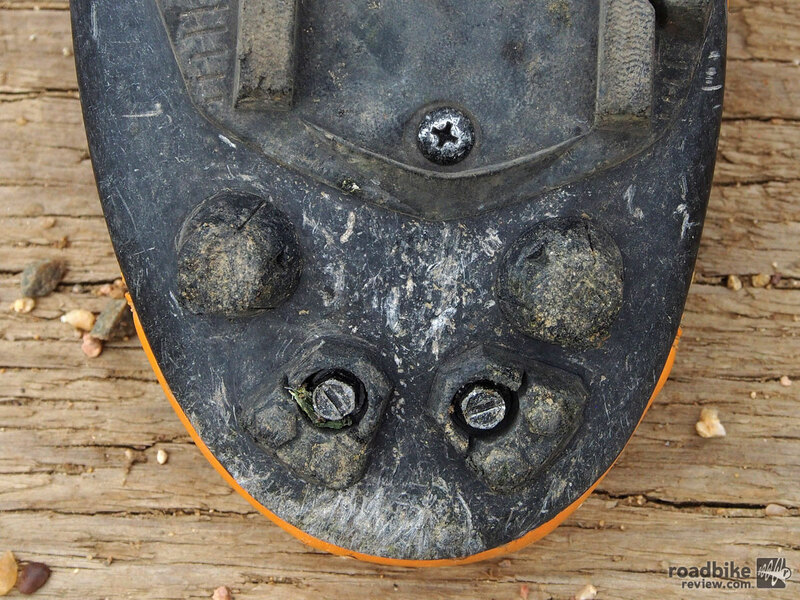 Lake also attempted to address the varying needs of cyclocross, which meant including six screw-in sole holes (two at the toes, toe under the fore foot, two beneath the heel), which allow for a tailored set-up based on course conditions. Each of these holes accommodates a removable spike, which can range from full-on metal blades to standard rubber traction grabbers. After about three months of testing both during rides and at a handful of races, we’ve been generally impressed with the MX 331 Cross. 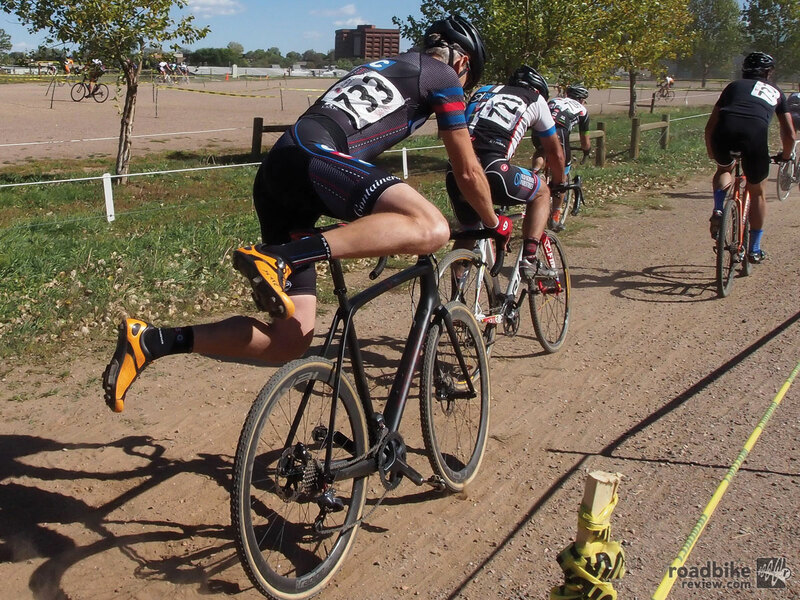 Thus far the Colorado cyclocross season has been bone dry, so we’ve been running a fairly standard spike set-up and had no issues with traction loss despite the reduction in sole rubber. More importantly fit and comfort have been just what you’d expect for a $400 shoe. That’s due in large part to the customizable carbon that’s built in to the heel and instep. 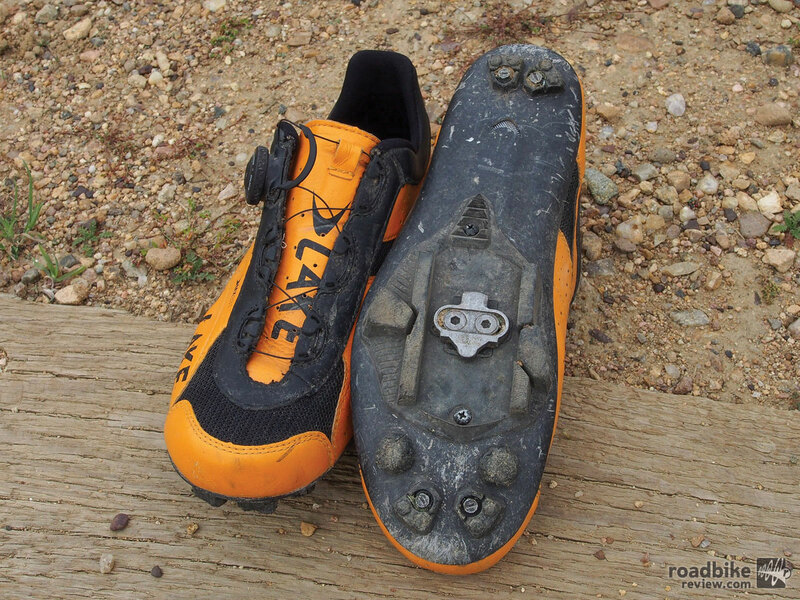 Just like the Lake CX 402 road shoe we reviewed earlier this month, the MX 331 Cross is heat moldable. Stick it in the oven at 200 degrees for about 5 minutes, then slip it on your foot and use your fingers and the single BOA closure to dial in fit around your foot’s arch and on either side of the carbon heel cup. The carbon heel cup and instep area are both heat moldable. While we can’t say there was a monumental difference between the shoe’s fit straight out of the box versus after baking and molding, the end result on our standard width foot has been a comfortable fit with no hot spots and solid heel grip. The later point is of obvious importance to the ’cross crowd, who need a shoe that remains firmly in place while running up stairs or dashing through sand pits. Comfort is further enhanced by the kangaroo leather/mesh upper and a lightly padded tongue that’s held in place by a side-mounted one-way BOA closure system. The upper is soft and flexible, but hasn’t suffered from unwanted stretch, nor gotten marred or scratched. It’s also easy to clean. The BOA, meanwhile, allows you to fine tune fit in a way that’s just not possible with traditional strap-and-buckle set-ups. Twist the dial and pressure is evenly distributed across the foot without pinching or hot spots. 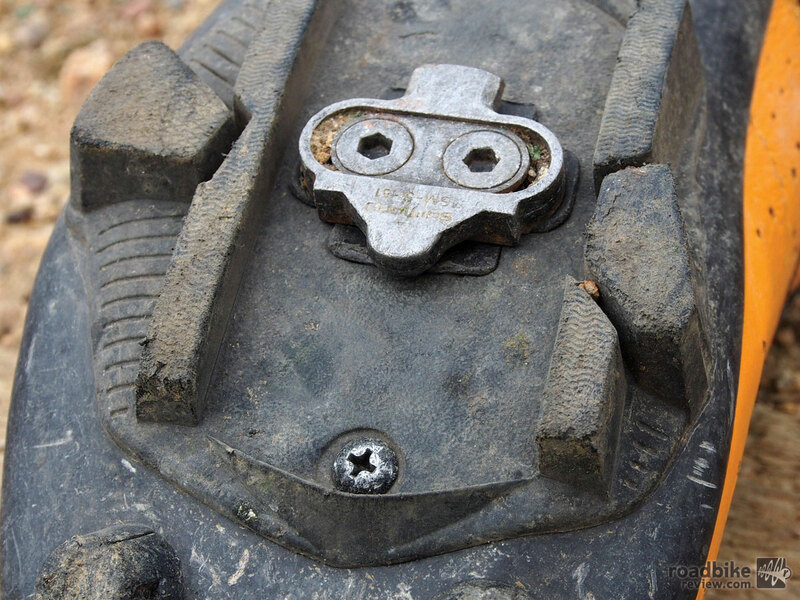 Cleat attachment is standard MTB fare, with two paired screw hole options availing a wide range of fore-aft adjustment. 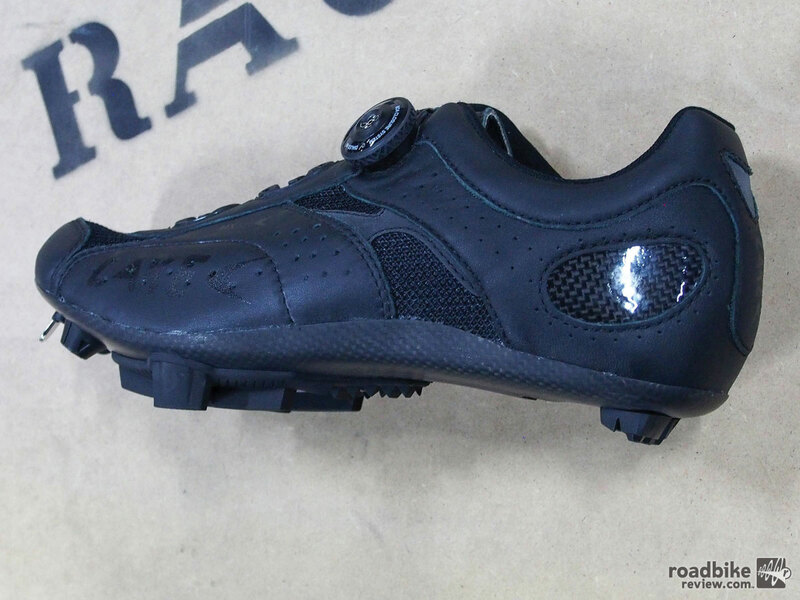 And as you’d expect from a shoe with a full carbon fiber sole, power transfer to the pedals is ruthlessly efficient. Effort in equals momentum out, no flex. Despite the occasional running required in cyclocross, Lake opted not to reduce sole stiffness. Instead they claim to have adjusted ramping and sole shape so that you get solid push-off for running without diminishing power transfer when pedaling. The BOA closure system provides even pressure without hot spots. During our test session we’ve had no issue with the occasional off-bike time required in most ’cross races. But these are certainly not shoes you’d want to wear for anything more than very brief jaunts. Indeed, they are not made for walking. The sole also has a small rearward vent to enhance cooling, though these being ’cross shoes, it seems a superfluous feature. Finally, the Lake MX 331 Cross has plenty of room in the toe box, and are available in a wide range of men’s and women’s sizes, plus a full run of men’s wides for all you big foots. The highlight feature of the Lake MX 331 Cross (their CX race specificity) is also the biggest knock. Despite the significant investment, this is not a shoe you’ll want to use for much beyond cyclocross training and racing. 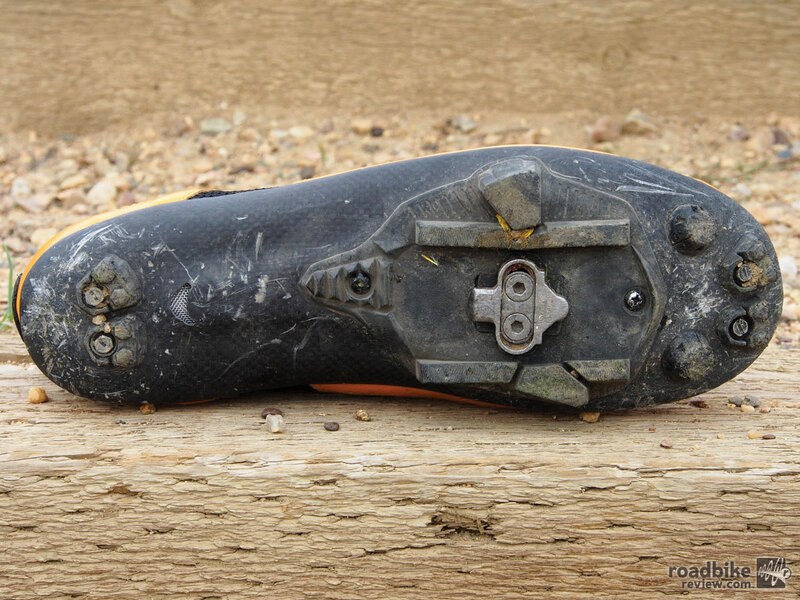 The lack of rearward rubber on the sole and the 2-by-4 sole stiffness just don’t translate well to mountain biking, unless perhaps you’re racing cross country and know you’ll be able to clear everything. The small rubber ramp in front of the sole screw has caused us to whiff on a few clip-ins. We’ve also had occasional issues getting back into our pedals, and surmised that one contributor to this problem is the small ramp of rubber that sits about an inch in front of the cleat. This small lip is there to protect a screw that holds the rubber sole in place, but it is also a slight impediment to swift pedal-cleat interface if you’re trying to slide your shoe into place. It’s not a deal breaker, but it did extend our learning curve for getting comfortable racing in these shoes. 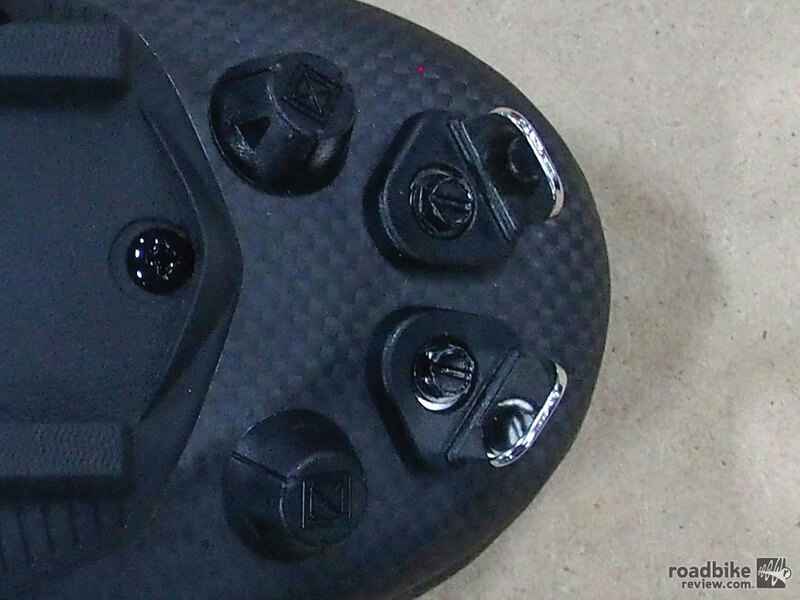 There’s also a small ribbed section at the rear of the cleat box, which improves grip and might actually snag your pedal if you flub a clip-in, thus protecting the carbon fiber sole. But as you can see from the pictures, scratches on the sole are unavoidable. We’d also love to see the addition of a two-way BOA on future editions of the MX 331 Cross. 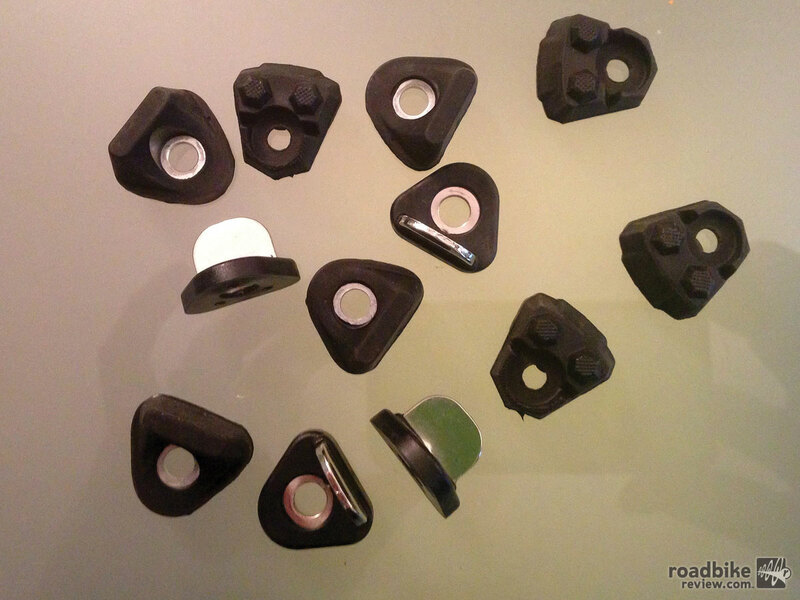 The single-direction knob works fine, but the two-way model that’s showing up on more and more road and even some MTB shoes allows for easy on-the-fly adjustment for both tightening and loosening. The downside would be a slight weight penalty and a slightly taller profile, but it’s a trade-off we’d be willing to make. Finally, some will take issue with the color options of the Lake MX 331 Cross, which is only available in loud-and-proud Dutch orange or basic all black. We’re never ones to get too hung up on aesthetics, but we’d love to see a color offering that was somewhere in between. Sizes: Men’s (39-46.5, 47, 48, 50), Men’s Wide (39-46.5, 47, 48, 50) and Women’s specific (36-43 with half sizes from 37.5-42.5) More details here. Running — and jumping — has been no problem. The carbon sole is already showing signs of wear, though it’s strictly superficial at this point. For exceptionally slick days, you can opt for these toothy metal blades. On the scale, sans cleat, our size 44s weigh 346 grams. The shoes come with a full complement of spikes, both metal and rubber. There’s a distinct lack of rubber on these soles. The kangaroo leather upper is soft, breathable, and thus far very durable. We’ve run a fairly traditional spike set-up this season, but it’s good to know you have options for when the muck comes. The small rubber ramp in front of the sole screw has caused us to whiff on a few race pace clip-in attempts. No flex here, even when out of the saddle and grinding. Color options are basic black or Dutch orange. Another look at the all black option. Power transfer is efficient whether in or out of the saddle.